This post is cross-posted from ConstitutionNet. It was first posted on the Voices from the Field section on 16 May 2018. Disclaimer: The views expressed in Voices from the Field contributions are the author's own and do not necessarily reflect International IDEA’s positions. President Moon’s constitutional reform proposal aimed at enhancing checks and balances and public welfare is likely to fail. Nevertheless, the proposals should inspire and influence future movements for reform. Crucially, the failure may also demonstrate a token maturity of Korean politics where presidential initiatives were historically accomplished with ease or nefariously – writes Professor Jongcheol Kim. While the potentially historic talks with North Korea have been dominating international news headlines, constitutional reform has also been high on the domestic agenda in South Korea. On 26 March 2018, President Moon Jae-in submitted a proposal for constitutional revision to the National Assembly, the first time a Korean president has submitted reform proposals since 1980. The President submitted the proposals after the parties in the National Assembly failed to reach agreement on the issue. Under the Korean Constitution, the National Assembly must decide with a two thirds majority of all its members (currently 196 seats out of 293 as of 30 April 2018) whether the presidential proposal should be passed to a national referendum within 60 days. Since the Liberty Korea Party (LKP), the main opposition party that strongly opposed the president’s proposal, has 116 seats, the prospects for passing the reforms alongside the local elections scheduled for June 13, as President Moon wished, were slim. The possibility of parliamentary resolution on the presidential proposal remains until May 24. A technical hurdle further undermined the chances of a constitutional revision. To join the referendum with the local elections, parliament must amend provisions of the National Referendum Act (NRA), which were struck down by the Constitutional Court in 2014 on the grounds that they violated the right of Koreans living abroad to vote in constitutional referendums. The National Election Commission confirmed that the amendment of the NRA must be done no later than 23 April to make the referendum on constitutional revision valid and workable. None of this happened. On 24 April, President Moon fiercely criticized the inaction of the National Assembly in amending the NRA and enabling the constitutional referendum. This appears to have effectively doomed the constitutional revision project. Technically, the possibility of parliamentary resolution on the presidential proposal remains until May 24. Nevertheless, the stances on the contents and timing of President Moon and the ruling Democratic Party of Korea (DPK) on the one side, and those of the LKP and other opposition parties on the other are quite different. Hence, it is generally and lamentably acknowledged that a golden opportunity of constitutional revision has been missed and another momentum will not be easily regained at least until the next general legislative election scheduled in 2020. The content of President Moon’s proposal included promising reforms that can be regarded as a starting point for subsequent constitutional revision. The Special (Public) Advisory Committee for Peoples’ Constitution, affiliated to the Presidential Advisory Commission on Policy Planning, provided President Moon with a report for constitutional reform. In the report, which was prepared following public consultations mainly in the form of online submissions, the Committee summarized the five principles of constitutional revision: to strengthen the sovereign power of the nation; to enhance basic rights; to consolidate local autonomy; to facilitate checks and balances among state powers; and to reinforce public welfare. All these aims are necessary to cope with the crisis of representative democracy and the worsening social and economic polarization in South Korea. These core principles were reflected in President Moon’s proposal for constitutional revision, though it is still controversial whether the proposed constitutional reform is proper or sufficient for such aims to be accomplished. The proposed reforms aim at addressing the perceived crisis of representative democracy and the worsening social and economic polarization. First, to strengthen the sovereign power of the people, it introduces recall of legislators and provides for popular legislative initiatives. It also proposes to reduce the voting age from 19 to 18. Critics from both ends of the political spectrum have raised concerns regarding these proposals. On the one hand, the conservatives tend to attack the introduction of direct democratic schemes as a populist threat to representative democratic arrangements. Radical groups, on the other hand, argue that it does not go far enough, especially as it confines the object of recall to national legislators and leaves the implementation of the reform in the hands of the National Assembly, which would have to outline the conditions and procedures for the implementation of these new processes. The reforms have also been criticized as they do not include the popular initiative for constitutional amendment. Nevertheless, considering debates on the merits and demerits of direct democracy, the introduction of recall and popular initiative represent significant progress. With a view to enhancing the basic rights of the people and the nation, the reforms propose the abolition of the controversial provision prohibiting those designated public officials, such as military or police officers, from claiming damages against illegal activities of other public officials beyond the statutorily prescribed compensation, the codification of the right to life and safety, the right to know and the right to control personal data, the imposition of a special responsibility on the state to implement a policy to protect the human rights of soldiers, and strengthened social rights such as labor rights, social security rights and equal opportunities for women and persons with disabilities. Liberal or progressive circles largely support these proposals, although some radicals are concerned with the moderate approaches of providing general rights and principles in this field rather than specifying concrete individual or collective rights and state obligations. Conservatives have condemned these amendments as a naked socialist contamination of the constitution. Labor rights, social security rights and equal opportunities for women and persons with disabilities would have been enhanced. In terms of consolidating local self-government, the president’s proposal includes the principle of subsidiarity, key autonomous powers in the organization, financing and regulation of local government, and communication mechanisms between the central government and local governments, such as a state council for local autonomy. This move also faces divided responses. The conservatives see it as too radical to be harmonized with an efficient and effective unitary governmental system. Pro-devolution activists also criticize it as mere lip servicewithout any practical change as the National Assembly has always been reluctant to implement the constitutional principle of local autonomy. Nevertheless, while moderate, the constitutionalization of guarantees of local self-government could bring about a considerable political change with respect to the relationship between the central and local governments. Proposals related to the structure of government aim to facilitate checks and balances. They retains the presidential system while diminishing the president’s powers and giving more control powers to the legislature. In these initiatives, backed up by the more than 60% of Korean people, the current five-year-single-term for presidents would be changed to two consecutive four-year terms to allow the public to assess the president’s performance and reward or punish incumbents who choose to run again. It is important to note that, under the constitution, changes to the presidential terms cannot benefit the incumbent. The reforms retain the presidential system of government while simultaneously constraining the powers of the president. The reforms would concurrently constrain the powers of the president. The Board of Audit and Inspection, currently under the president, is proposed to be an independent body. The budget bill would be determined in the form of a statute rather than the current form of a special resolution in which the executive has relatively higher discretion in setting out financial planning of the government. Furthermore, the government would only be allowed to submit a legislative proposal with the consent of more than 10 legislators. The president’s power of special pardon would be subject to the review of a new constitutional deliberation body while the presidential power of appointment of justices of the constitutional court and supreme court is abolished or turned into a formality. The reform proposals also respond to popular demands for electoral reform through the introduction of the principle of proportional representation for the election of the National Assembly. Currently, only around one-sixth of the members of parliament are elected through a party list proportional system. The others are elected from single member constituencies through the first-past-the-post system. Opposition parties argue that these changes are not sufficient to cope with the so-called ‘imperial presidency’that is arguably the main defect of the current form of government. Their alternatives to the president’s proposal centers on a division of power within the executive branch. For example, the prime minister elected by the National Assembly could be given independent executive powers while a popularly elected president would exercise specially designated executive powers in the areas of foreign affairs, national security and reunification. President Moon and his aides explicitly rejected this alternative partly because such a dualist executive system could lead to an unstable and inefficient executive, and could function as a pseudo-parliamentary system to which the majority of the nation have shown consistent objection. The reforms propose the introduction of the principle of proportional representation for the election of the National Assembly. With a view to reinforcing public welfare and address the worsening socio-economic polarization in South Korea, President Moon proposed a variety of constitutional principles and means together with enhanced social rights. They include establishing a power of economic regulation to democratize the economy, the protection of consumer rights, a state responsibility to enhance small and medium enterprises, better articulated provisions to allow the state to reinforce land owners’ social responsibility of land use and the state’s responsibility to protect the interests of farmers and fishermen. The reaction to these changes are similar to other fields of constitutional revision. The conservatives denounce its objectives and necessity while the progressives welcome the reform while regretting its moderate approach. Concluding remarks: A token demonstration of democratization of Korean politics? While the reform attempt is highly likely to fail, it cannot be regarded as a wasted political endeavor. It was the first proposal on constitutional revision by the president since President Chun Doo-hwan in 1980, who took power through military coup after the assassination of dictator Park Chung-hee in 1979. The fact that the president’s proposal would not be passed in the legislative branch due to the opposition’s objection may be seen as clear evidence of growing Korean democratization, regardless of the reasons for opposition. The failure of the reforms shows that the president is no longer able to arbitrarily control the political process as he or she wishes. In the period of authoritarian regimes from 1948 to 1987, most proposals for constitutional revision initiated by presidents were accomplished, at times by using even unconstitutional means. Moreover, the content of Moon’s comprehensive reform agenda will likely influence and pave a meaningful way for a future constitutional revision movement. Whether President Moon or the ruling Democratic Party, and the opposition parties would reach a dramatic compromise on another constitutional revision initiative even after the June 2018 local election is unclear. What is highly likely, however, is that future proposals will start with Moon’s comprehensive proposal, or parts of it, especially if that occurs during Moon’s term, which will last until 9 May 2022. 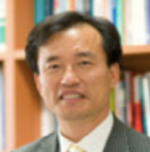 Jongcheol Kim is a Professor of Constitutional Law at Yonsei University School of Law and a Vice-Chairperson of the Special Advisory Committee for Peoples’ Constitution affiliated to the Presidential Advisory Commission on Policy Planning in South Korea. He also worked as advisor for the National Assembly Special Committee on Constitutional Revision until December 2017.